It seems that while J.J. Abrams was busy wowing the world with Star Wars: The Force Awakens he was also producing a sequel of sorts to the film Cloverfield. 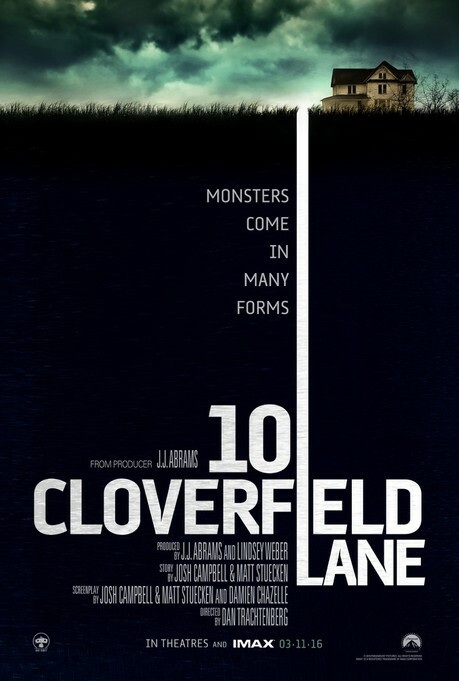 The film was being produced under the title Valencia but this weekend at test screenings of Michael Bay's new film this trailer showed up revealing the film's actual title, 10 Cloverfield Lane. It stars Mary Elizabeth Winstead, John Galagher Jr., and John Goodman. Abrams has said though it's more of a "blood relative" to the original Cloverfield than it is a sequel. Whatever that means exactly we will find out in March when 10 Cloverfield Lane hits theaters. Watch the trailer below and check out the film's poster.